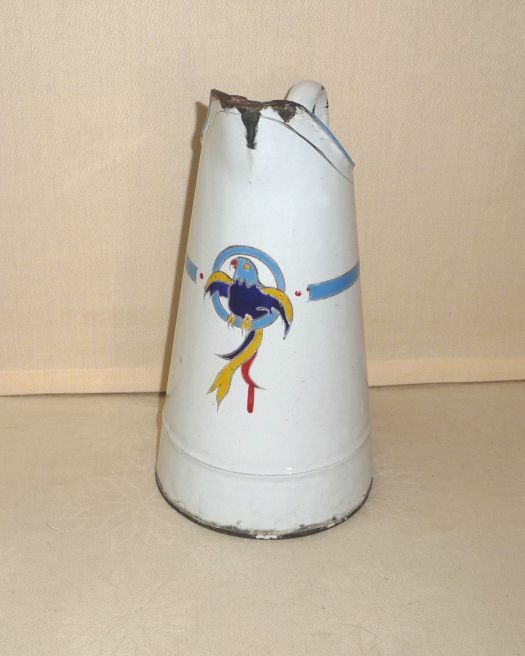 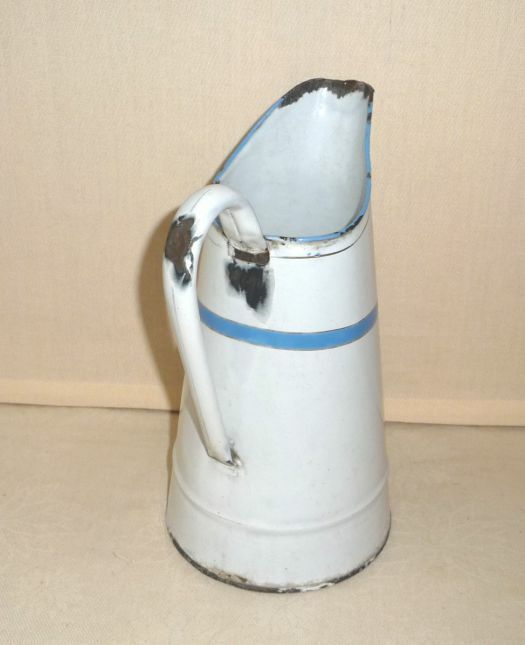 Uncommon pattern for this enameled pitcher. 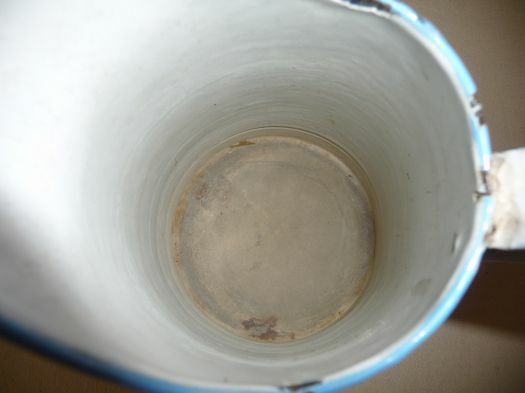 Unfortunately, there are many chips, that is a pity ! 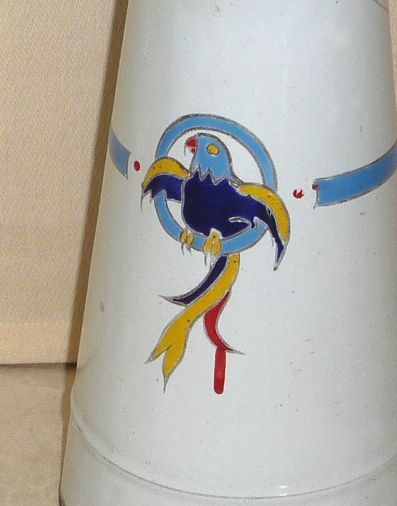 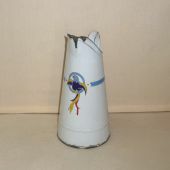 But it remains an interesting item, because of this parrot pattern.